Gogle Farms is a family run orchard located near Laurys Station, about 10 miles north of Allentown. We offer a variety of fresh, in-season fruits and vegetables from July to November. With many of our fruit crops, customers have the option of taking a short hayride out to the field to Pick Your Own. 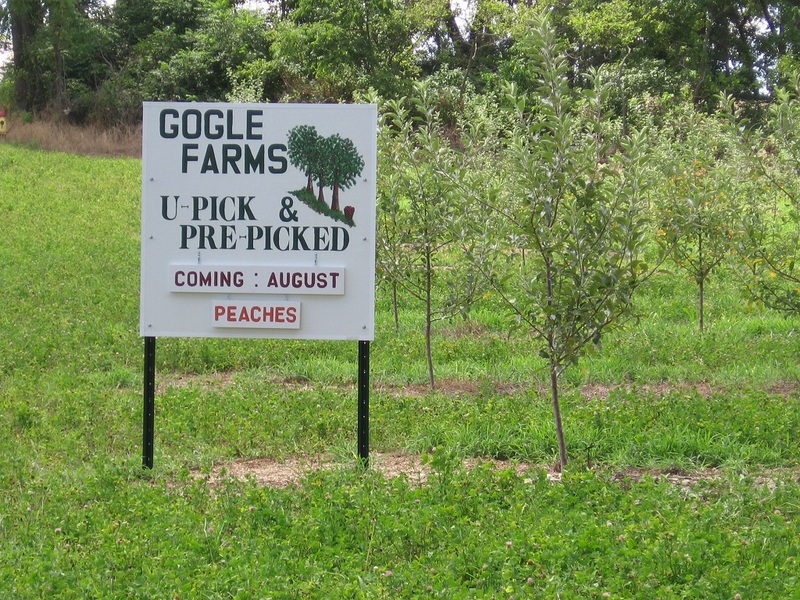 We started planting the orchard in 2008, in ground that has been farmed by at least 7 generations of Gogles, and had our first peach season in 2011. Open Wednesdays during peach season. Open Fridays during peach season. In August and early September we offer PYO Peaches. Then for the rest of September and October we offer PYO Apples and Jack-o-Lantern Pumpkins. In all cases, customers can walk to the field or take a short complimentary hay ride to the field. We offer a wide range of pumpkins and winter squash from small decorative gourds up to large baking (pie) pumpkins and Jack-o-Lanterns. Always popular are our decorative "Lunch Lady" gourds. 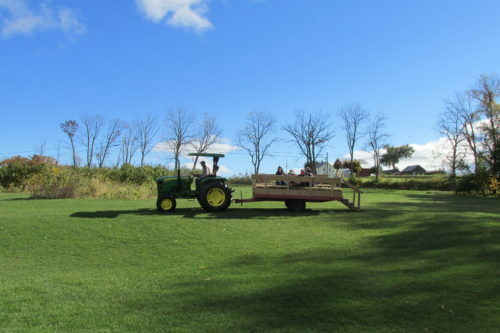 Hay rides available to pick Jack-o-Lanterns. Offered as transport to our Pick-Your-Own (PYO) crop fields. 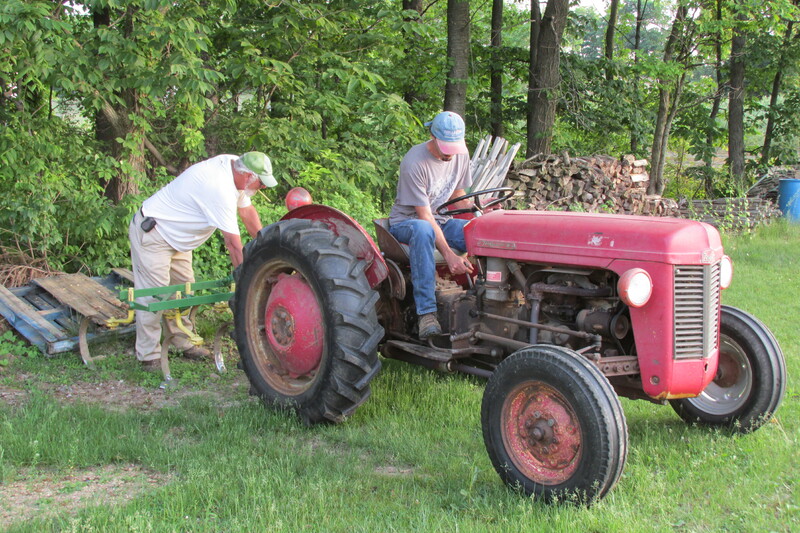 A tractor pulled wagon with straw bale seating.